Stoller co-founded the company in 1983 with President and Chairman Robert Funk and another partner. Stoller and Funk previously worked in management and executive roles for Acme Personnel Services. Express opened with six corporate-owned offices, but quickly franchised in order to gain the capital it needed to grow. Stoller and Funk became sole owners of the company in 1991 after buying out their partner. The company today has more than 800 franchise locations, with the ultimate goal of reaching 900 sites, Stoller says. Though their roles have changed, Stoller and Funk’s commitment to the company’s mission has not. “We’re a very successful, franchisee-driven company. Our responsibility is to find franchisees, train them, prepare them to go out into the field, educate and motivate them,” Stoller says. Express specializes in placing job seekers into positions in the commercial and light industrial sectors, which includes manufacturing, logistics and transportation companies. Roughly 70 percent of the company’s available positions are commercial, with office services and professional services comprising the remaining balance. The company works mainly with small and medium-sized clients. Since its beginnings, Express’ vision has been to help as many people as possible find good jobs and to help its clients find good people. For the company, helping people succeed by gaining employment ultimately benefits not only the employee, but also the community they live in. This philosophy, which Express refers to as its culture of caring, is at the heart of its leadership decisions. One example of the company’s community driven culture is its work in South Africa, where it has 14 locations. Express opened offices there after Funk attended a staffing convention in South Africa in the 1990s and noted the country’s 42 percent unemployment rate at the time. Express has placed more than 90,000 people in manufacturing and commercial jobs since setting up shop in South Africa, the company notes. 600,000 meals through food drives, monetary collections and volunteering. Franchisees are also active with Children's Miracle Network Hospitals, volunteering their time and raising funds for the organization. "We believe that giving back to the community is an important part of our business," Stoller says. The average mature Express franchise reports $1 million in gross revenues per year, which the company attributes to its systems as well as the support it provides to franchisees. New Express franchisees pay a $35,000 franchising fee and are asked to have at least $150,000 available to cover operational costs. The corporate organization finances payrolls for the workers placed into jobs by each office. Each office has a territory of roughly 175,000 available jobs. The corporate headquarters works with new franchisees to find an ideal office location and provides three weeks of training before opening. The training covers topics including finding clients and working with state worker’s compensation and unemployment systems. The company also hosts an International Leadership Conference for its franchisees each February, where attendees participate in learning sessions and hear from motivational and high-profile speakers, including former President George W. Bush. Franchisees and their employees are also invited to attend regional sales summits every fall. Express provides ongoing support to franchisees in the form of 50 corporate employees known as developers. Developers help franchisees in the field with basic business issues and coach them to be more productive, Stoller notes. Stoller’s goals for Express include upgrading the company’s technology and providing additional support for franchisees. “When our franchisees our successful, we are successful as well,” he says. In spring 2018, the company released its ExpressJobs app, which shows job seekers available jobs in their area and allows people to apply for jobs via their mobile devices. Express associates also can access details including work assignment history, payment history and employment forms. “We specifically built the app to be a communication device and a way for our temp associates to apply for jobs that are closest to the areas in which they live,” Stoller says. The app will soon be expanded with recruiting and employee onboarding functions that will assist Express clients, he adds. Other technologies used by Express include the Money Network pay card. Money earned by associates is placed directly onto the card, which can be used to make purchases, access cash and pay bills. Further international expansion is another goal for the company. In addition to its franchises in the United States and South Africa, Express is also active in Canada. Potential future locations include Australia and New Zealand. “Part of our strategic decision making involves whether we want to go overseas further,” Stoller says. Although Stoller and Funk will be directly involved in the company’s strategic direction for the foreseeable future, the two are also beginning to plan for its eventual succession. 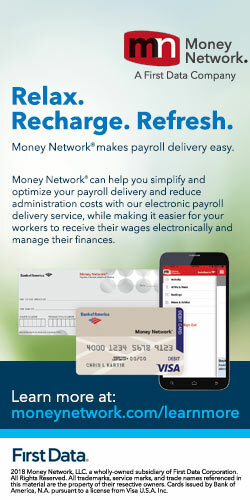 Money Network®, a First Data Company, offers its Electronic Payroll Delivery Service to help companies achieve 100% electronic payment of wages and reduce administration costs. Participating employees receive their pay electronically, and benefit from a mobile app and no-cost options for accessing wages. 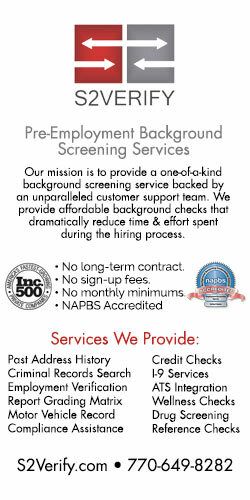 Join 4,000+ employers benefitting from the Service.